In large skillet, add 1 tbsp oil and heat over medium high for 2-3 minutes. Add steak and season with salt and pepper, to taste. Cook until brown with no pink remaining, about 4-5 minutes. Transfer to plate. Return steak to pan, reduce heat to medium and add simmer sauce to the pan. Simmer until the mixture is warm and bubbling, about 5 minutes. 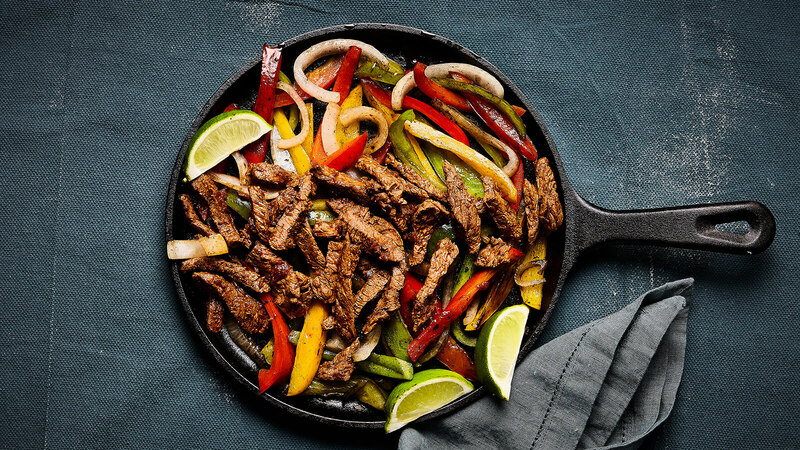 To serve, spoon steak mixture in warm tortillas and top with sour cream, guacamole and a squeeze of lime.